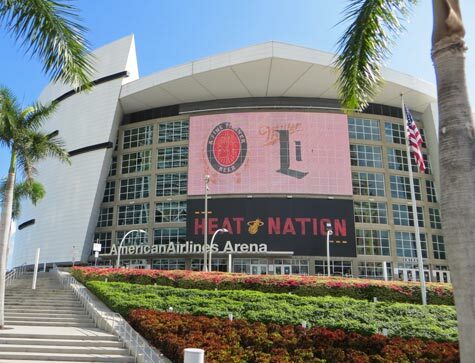 The American Airlines Arena is a large entertainment and sports complex in Miami Florida. The arena is home to the Miami Heat of the NBA. Visitors to Miami can enjoy a concert or baseball game at the arena followed by an evening out at the nearby Bayside Marketplace. The American Airlines Arena is located along Biscayne Bay in the heart of Miami.